As day broke on negotiations at a momentous climate change conference in the Polish city of Katowice, politicians, diplomats and scientists were given a rude awakening. At 6am, a coal miners brass band struck up and marched through the streets to celebrate the day of Saint Barbara, their patron saint. The previous day, beloved nature broadcaster Sir David Attenborough had given an impassioned speech warning of civilisation collapse if the world did not break its fossil fuel addiction. Evidently, the band had not received the memo. These musicians, in their ceremonial uniforms and feathered hats, were part of a proud history that stretches back centuries, and despite hosting one of the most important climate change events in recent years, this heritage is very much alive and well in Poland’s Silesia region. Inside the conference centre where the UN’s COP24 event is taking place, attendees could visit the Katowice city stall, which stood as a proud testament to this fact. Manned by locals steeped in mining history, it sold soap, earrings and other jewellery, all made from coal. There was even a “shrine” to coal, displaying lumps of the black mineral in all their glory behind sheets of glass and metal mesh. 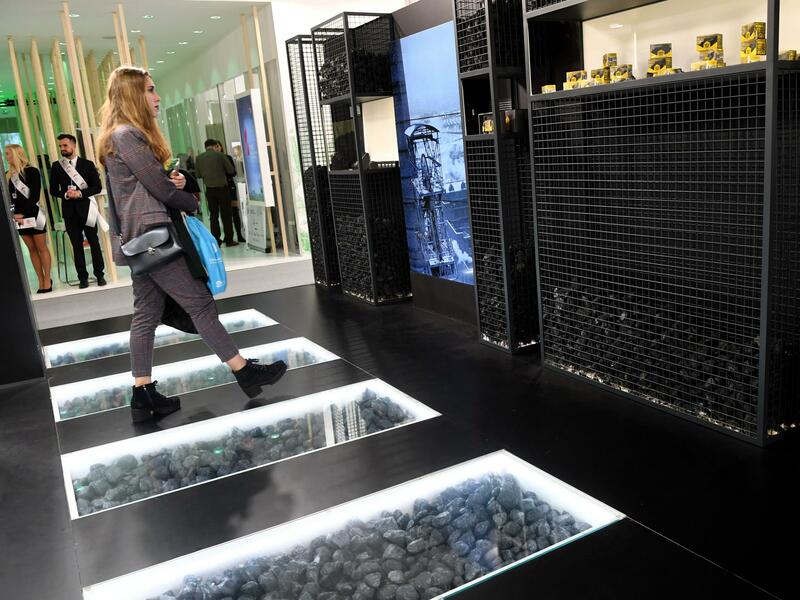 Among the sponsors of COP24 – which has been lauded as the most important climate event since the Paris climate agreement was agreed three years ago – are three Polish state-owned coal companies. Stepping outside the centre, and taking a lungful of the city’s smog-filled air, a visitor could spot coal power plants in the distance, and just a stone’s throw away is a museum built on the site of a former mine shaft. A cynical observer might suggest Poland was mocking the earnest environmental campaigners and scientists who had come hoping to achieve a fossil-free world. After leading climate researchers made it clear in October that coal must be virtually eliminated as a fuel source by the middle of the century, its presence in such abundance seems like some kind of unpleasant joke. But it’s clear that with 80 per cent of Poland’s electricity generated by coal-fired plants, and plans to build more, the government is quite serious about its commitment to the dirtiest of dirty fuels. After informing those assembled at COP24 he had “no plan today to fully give up on coal,” Polish president Andrzej Duda reiterated his case to assembled miners in the southern town of Brzeszcze on Tuesday. He assured those gathered that on his watch, he would not allow anyone to “murder” Polish mining. The president said that with coal supplies set to last another 200 years, it would be “hard not to use them”. Good news for the miners, perhaps, but bad news for the planet – not to mention the health of Polish people. Poland is Europe’s smog capital, home to 33 of Europe’s 50 most polluted cities. As delegates gathered in Katowice last week, data collected by the European Environment Agency revealed it was the second most polluted city on the continent. Its levels of particulate matter were twice as high as those deemed safe by the World Health Organisation. Considering the toxic air, the mounting pressure to drop coal altogether and the dire climate warnings, it seems remarkable that Polish politicians are gripping on to fossil fuel with such tenacity. “For years, we have had this dogma – particularly among politicians – that coal is the future of Polish energy policy, the basis of the Polish economy and even the basis of Polish identity,” says Piotr Trzaskowski, an energy expert and activist with 350.org. This dogma is not unique to Poland. On the other side of the Atlantic, Donald Trump has professed his love for “beautiful, clean coal” in a bid to appease beleaguered American miners. Germany too, has shown an unwillingness to ditch coal, but other EU nations have seen more success. In fact by cutting coal power from 42 per cent to 7 per cent of electricity generation in just five years, the UK has set a remarkable example of how transition can be achieved. At the same time, considering the massive social upheaval that came with the dismantling of Britain’s coal industry – which will end for good when coal is phased out totally in 2025 – it also reveals why Polish politicians might be unwilling to follow suit. Mining trade unions are powerful in Poland, and are clearly unwilling to go the way of their UK counterparts. But there is also a growing movement among conservative communities sick of air pollution and coal mine expansion. Polling suggests nearly a third of Polish people consider climate change “one of the gravest threats to our civilisation”, and most would support a switch away from coal. “In the last few years, there has been a revolution,” says Marek Jozefiak, a climate campaigner with Greenpeace, explaining that people have made the link between smog and coal. Despite this opposition, breaking Poland’s coal addiction will not be easy. The recent “gilets jaunes” protests in France, a response to a ham-fisted attempt to cut emissions by raising fuel tax, caused ripples of unease to spread around many of those gathered at COP24. Clearly, forcing people to be greener requires a subtler approach, and one that leaves no one behind. That is why most attendees at the Katowice summit are in favour of a so-called “just transition” – trading dirty industries for renewable ones, and ensuring that people hold onto lucrative and fulfilling jobs. Mr Jozefiak says that like many Poles, he is from a coal mining family, and with an industry relying increasingly on government subsidies and imported coal from Russia, such a transition is long overdue. But based on the rhetoric from leaders at COP24 so far, this message has not yet penetrated the upper echelons of Polish government. On Saturday, Poles intend to show their displeasure in a climate march through Katowice. Patryk Bialas, a city councillor, is one of a group of local politicians calling for the establishment to get on board with the grassroots movements that have sprung up around the country. 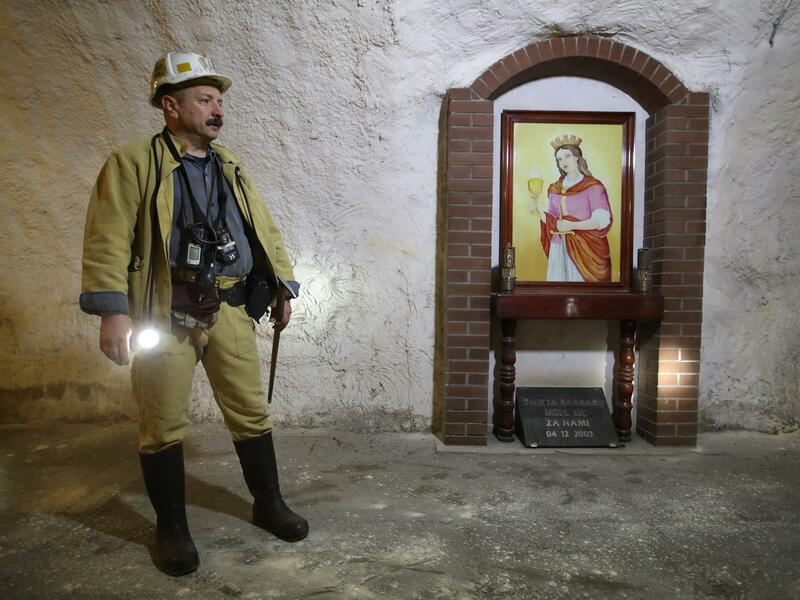 “In Silesia there is still a lot of respect for coal miners and tradition that comes with it. But people know that the future will look different,” says Mr Bialas.